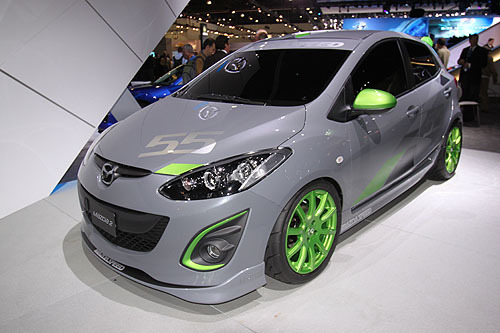 2009 LA Auto Show: Mazdaspeed…2? So during the special “Mazda 22” event a few journalists asked Mazda if there would be any accessories available for the Mazda2, if the Mazda2 would be involved in racing, or if there would be a Mazdaspeed2. The answer to all three of those questions was either “no” or “there are no announcements”. All to be expected correct? 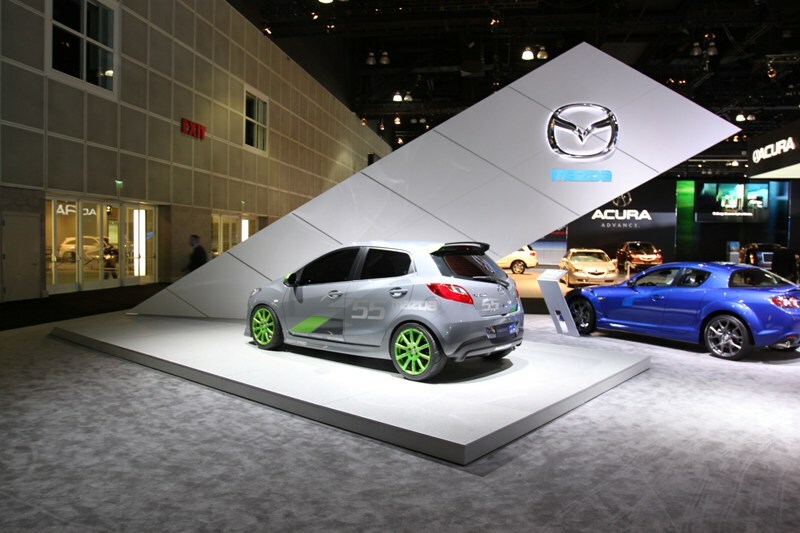 However on the west side if their exhibit I see a Mazda2 decked out with different wheels, and even a carbon fiber wing! 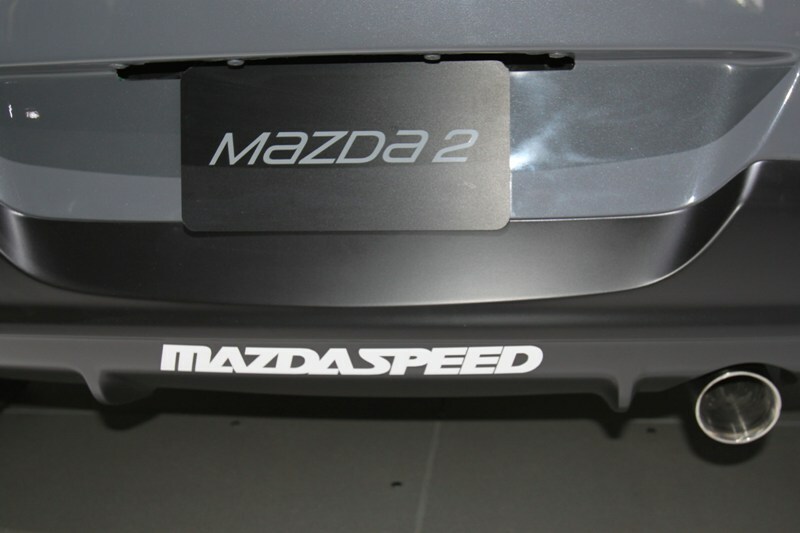 Oh and there were “Mazdaspeed” decals in strategic locations. So what’s the deal Mazda?! I think the cat is out of the bag! UPDATE: So Mazda’s explaination is that this awesome little rocket is a “concept” known as the “Mazda 2Evil” but we can’t help but notice how it looks strikingly like an OEM variant! Hmm I guess we will just have to wait and see what path they’ll take with this concept. This concept is inspired by the weekend track car but one that can function equally well as an urban commuter. The body has been modified to show a more aggressive front spoiler and a deeper side rocker for improved aerodynamics and lower overall stance. 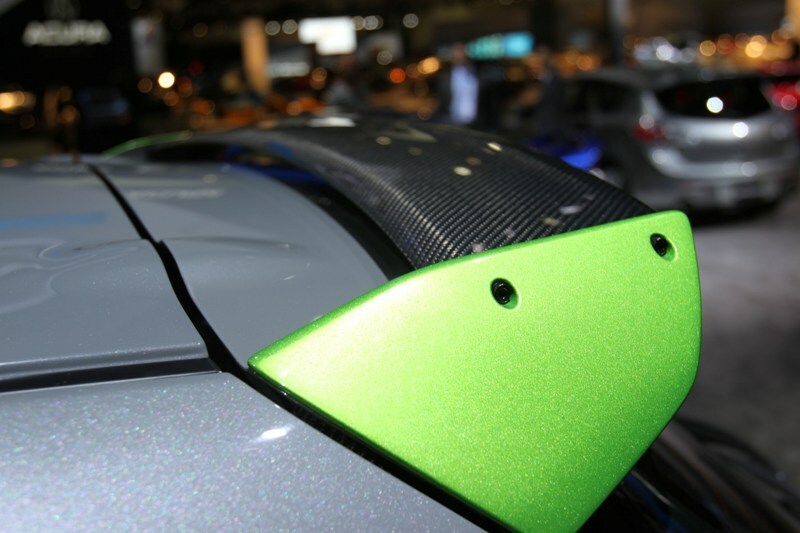 A strong lower diffuser is added to enhance the rear proportion and more emphasis is placed on the exhaust tip. The rear upper spoiler was redesigned for both additional downforce and a race appearance. 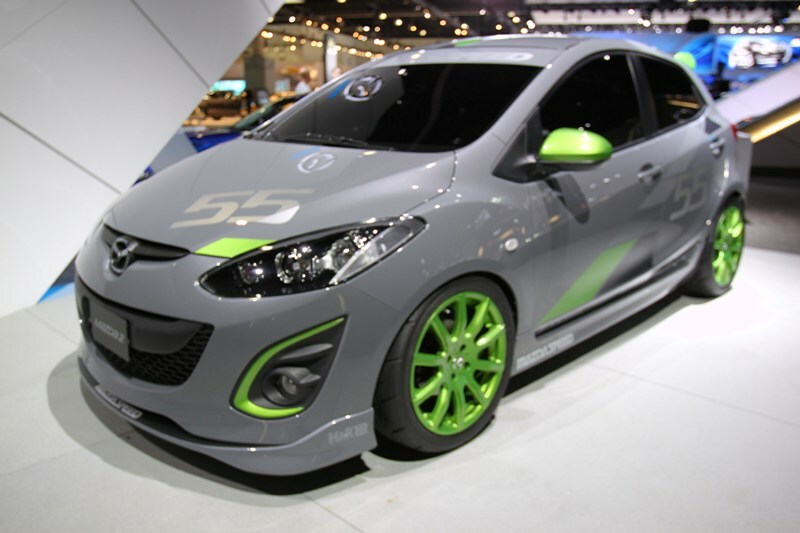 The dynamic MAZDA2 body is finished in Ceramic Grey metallic with subtle motorsports inspired graphics. The graphics are finished off with the historic number 55, a tribute to the 1991 Le Mans-winning Mazda 787B race car. 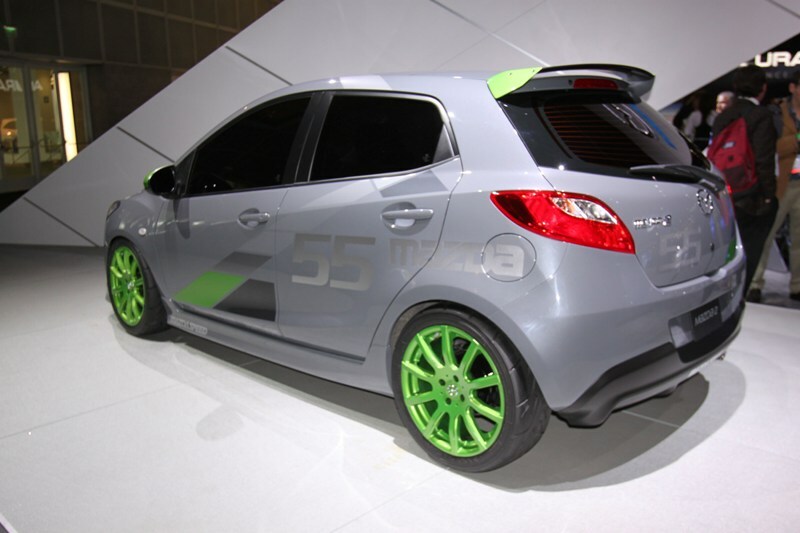 Wheels, mirrors and other details are accented in Spirited Green. To top it off, the performance and stance are enhanced with 17″ wheels, 215/45/17 Yokahama Advan tires, lowered coil-over suspension provided by H&R and Magnaflow performance exhaust.